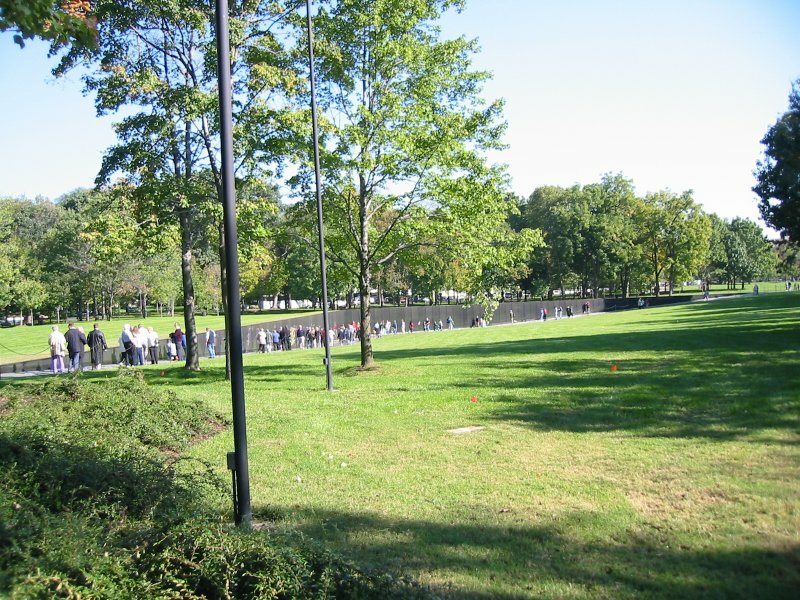 The Vietnam Veterans Memorial consists of three main elements. 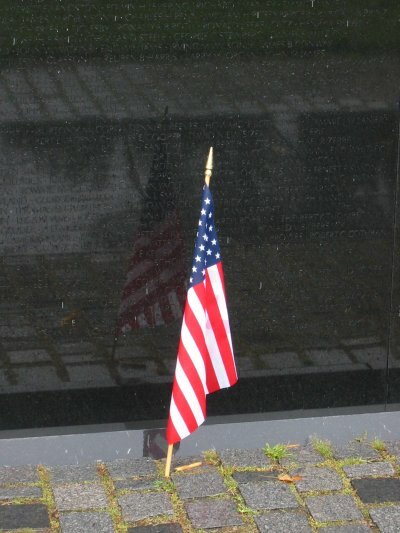 The Wall, the first part of the memorial to be erected, was dedicated November 13, 1982. 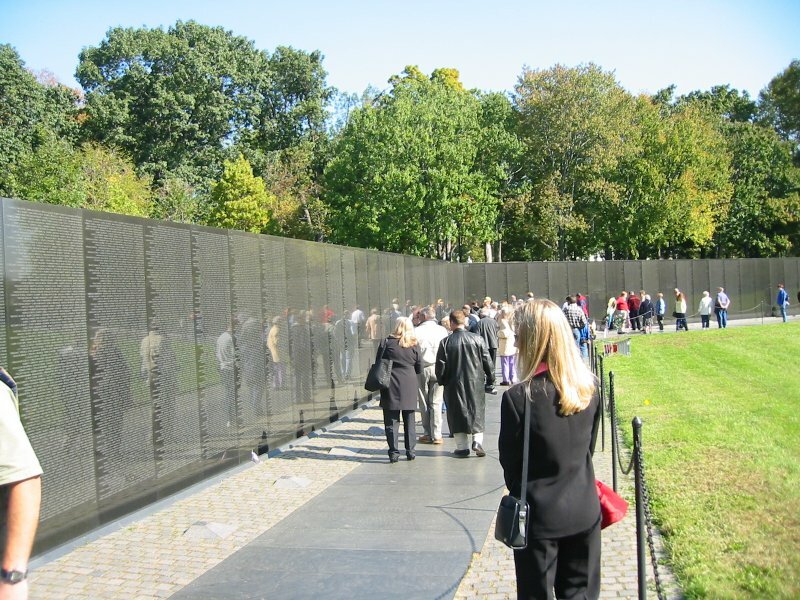 Today 58,226 names are inscribed on the wall. 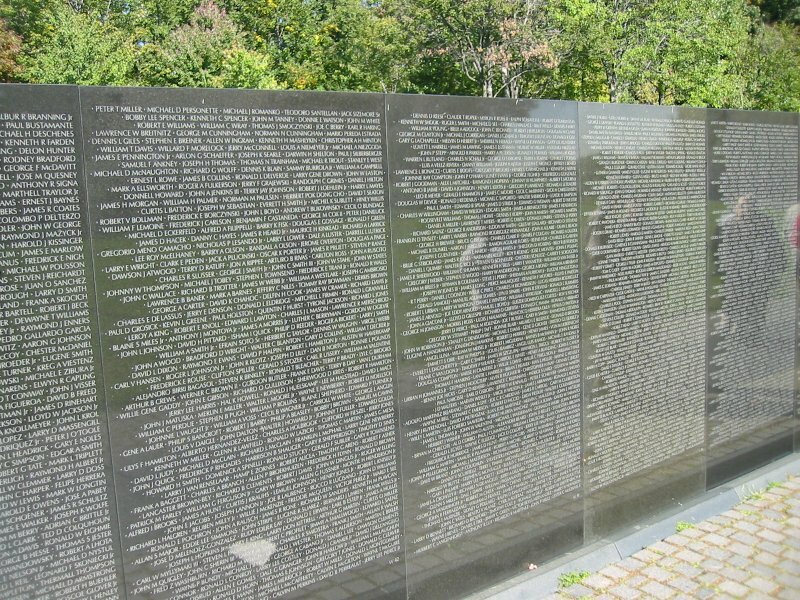 The wall includes the names of deceased and missing. 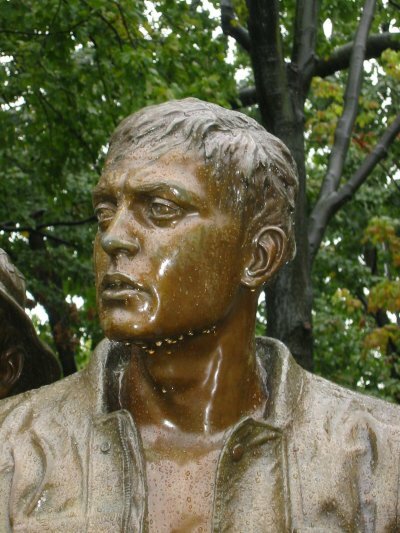 The goal of the memorial was to allow all people to reflect on the price of war and to honor those who served. Some initial reaction to the Wall included opinions that it did not appropriately honor the veterans of Vietnam. 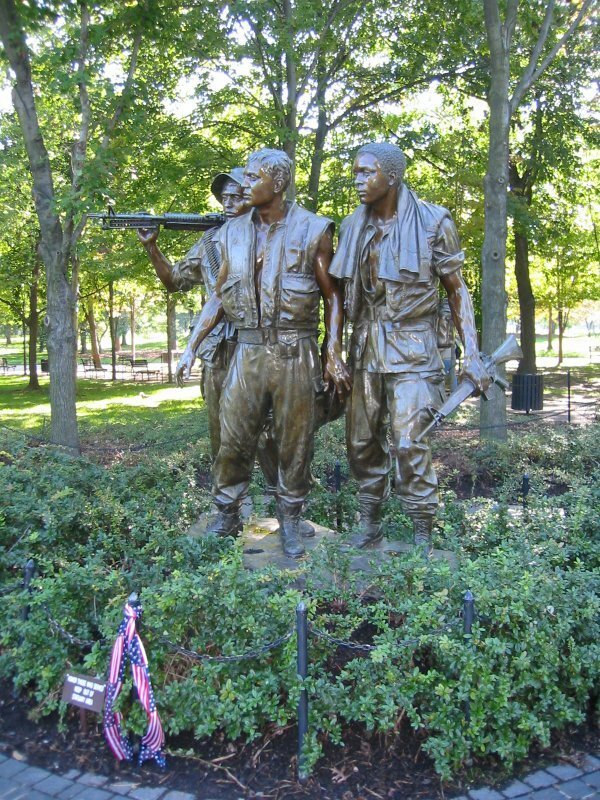 As result of this debate a compromise was reached and in the fall of 1984, the Three Servicemen Statue, by Fredrick Hart, was placed near the wall. The Vietnam Women's Memorial rounds out the memorial. 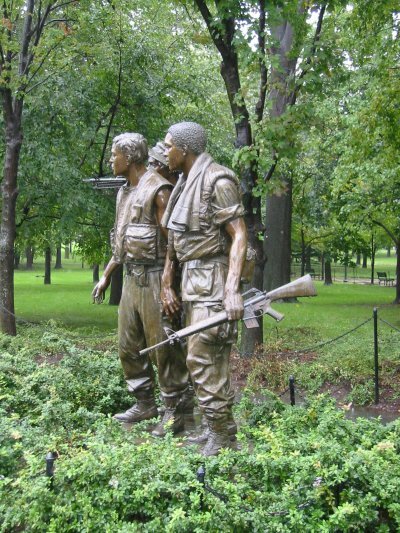 Designed by Glenna Goodacre, the statue honors all women who served in Vietnam. 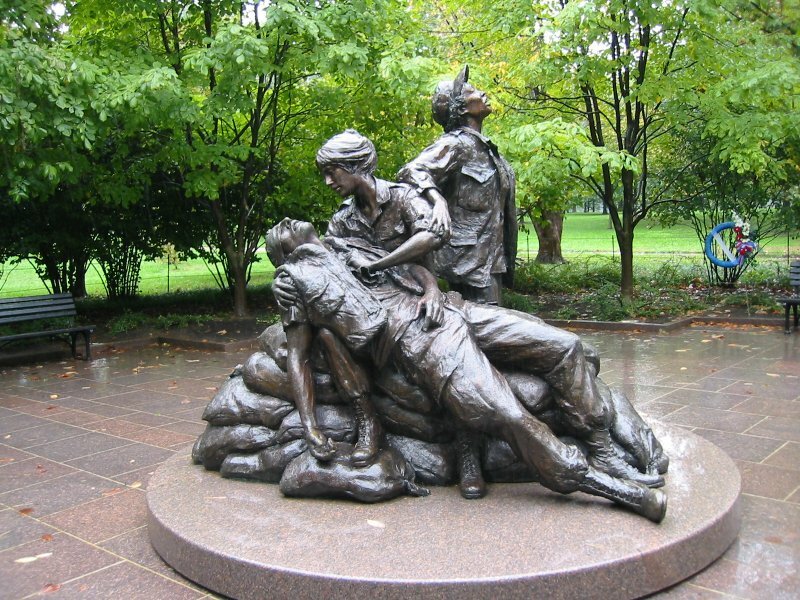 The Women's Memorial was dedicated Veterans Day, 1993. These images were captured in the period 16-18 October 2002 and will take some time to load.